I am using my Arduino IDE and an Uno to learn the basics of AVR ASM. So far have have some simple stuff down including conditional branching and so on. But compound conditional branching I am not sure how to implement in assembler. All the conditional checks I see for opcodes check 2 variables (registers, immediate, etc) at a time. So to convert the Arduino snippet here into BRNE, CP and so on would involved nested conditional calls? This is not actual code, just an example. I am trying to get my head around how to do it. Thank you all in advance for any advice / examples / etc. I am a new AVR programmer. I am learning alone out of books, the Internet, etc. Please excuse me if I ask simple questions. Thanks. Well, first you compute the argument, then branch depending on whether the result is true or not. Actually, for me, it helps very little to propose a C "structure" then ask "how to do it in assembler" because, very often, the optimum way to do it often does not look very much like the way the problem is posed in the higher level language. brge testor   ; a >= b; try or clause. brge ifcd     ;   goto "if" clause. testend: ;; end of the whole if/else statement. Assuming all of the variables are in registers and are 8bits long. Note that this is theoretically NOT the way C does it, since theoretically C computes a single boolean value based on the expression in the if clause, rather than the string of conditional jumps. OTOH, this might be what you get by the time the optimizing is done. You DO know how to compile something with C and LOOK at the code it produces, don't you? very often, the optimum way to do it often does not look very much like the way the problem is posed in the higher level language. One of the benefits with ASM is that you can evaluate in the order you want and that way speed the code up. in your example it could be that j very often is above 45, so check it and go on. Perhaps it's rare it above 45 then do it the other way around. Anyway the point is that the C compiler is pretty good at writing AVR Asm. In fact it is generally so good that it's not usually worth bothering to do it yourself. then you might start to think "actually, I can come up with something tighter than this C compiler". I am using my Arduino IDE and an Uno to learn the basics of AVR ASM. I'm sure it's been said elsewhere - but why choose the Arduino IDE to do this? This is certainly not what it's designed for. I am trying to get my head around how to do it. As clawson has shown, looking at the way the 'C' compiler does it is always a good starting point! You need to study the Instruction Set document to see what instructions are available, and what they do. To be an asm programmer, you will need to be very familiar with that document! Your first step is to break down those complex expressions into a series of simple expressions. You could do that in 'C', if you find it helps, or as a flowchart - whatever works for you. Thank you everyone! I mean that with all honesty. Lost of good examples for me to digest! Once my kid gets back from his play date I am going to barricade my self in the basement and digest it. Thank you again! I am using the Arduino IDE and set up because it it is stable and already running and I am familiar with it. I tried to get avr-gcc , avr-dude and AS7 to work and spent a day trying to update drivers and intrepret error messages. So for the sake of just learning the basics: using the existing Arduino IDE that I already have seems to be the way to go. With the noted exception of the help I recieve here from all of you I am learning alone out of books, internet, etc. Thus I am grateful for all the help!! But why not AS7? If you use that you even get to choose between two different assemblers - the one you are currently using and the one that all the books and internet articles are written about. The main reason to use your current one (GNU as) is usually for interworking C and Asm together. One thing to note: in 'C', the use of goto is strongly deprecated. But, in assembler, the use of goto is going to (sic) be essential! which helps with your break-down from 'C' towards assembler. I would suggest that thinking in C and then trying to convert that to assembly is the wrong way to go a about it. True that. It's unlikely you will out think a C compiler. Really good Asm code comes from using intricate CPU knowledge that cannot be encoded into an automated code generator like a compiler. But the OP started by showing some C-like "pseudo-code" - so my point is that (s)he's going to have to break that down into simple steps. 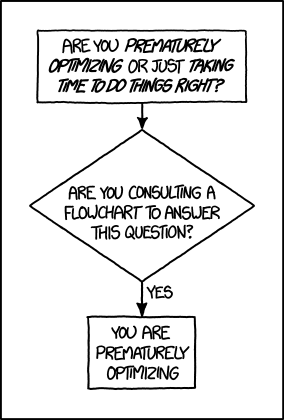 Flowcharts may be more appropriate. A good supply of pencils & paper will be necessary - with a good eraser & sharpener. looking at the way the 'C' compiler does it is always a good starting point! thinking in C and then trying to convert that to assembly is the wrong way to go a about it. in assembler, the use of goto is going to (sic) be essential! Then I don't think you get it! When you are new to an controller (or totally new to this ASM), then it's good to see a way that works, simple things like compare 16 bit, read from flash, set pointers up and all those things, could be a good starting point. But in general the C structure is very rare optimal for the hole project and that is why you can gain a lot more than the normal 5-20% buy optimizing the C output with a better structure (for the job on hand) in ASM. And most people only think of ASM for raw speed, but sometimes it's better because of other things like smaller code, less RAM use, faster to program for jobs close to HW. Sorry I can see that I wrote could mean that, so I have reworded my sentence. The first part (j >= 45) will be evaluated first and the second part will NOT be evaluated if the first part is true. Uh, no. That behaviour is part of the standard. The operators &&, || and ? : are all 'short-circuit' operators. Operands are evaluated left-to-right (subject to operator precedence, of course), and as soon as an operand evaluates to a value which makes the remaining operand irrelevant, operand evaluation stops. ... if the first operand j >= 45 evaluates as true, then the || operator's other operand is irrelevant to the result, and is therefore not evaluated. Yes... and I am still learning to read what it all says. When I see my own code in it from avr-objdump it is obvious, but I am learning what all the other sections and what they do and how... so but steady going for now. The branching at the end of your post is very similar to what i wound up doing after all. So.. I feel good knowing i am very close to the "right" way. I have tested it with all sorts of values for the 4 params and seems to work.